Paella catering reviews are a very important for future clients to be able to read. This helps them to make a more informed decision when choosing a catering company for a wedding party or event. Your Paella was on location ahead of time and had set up the spotless stall, bringing everything with them. We were able to watch every step of making the paella and were impressed by the preparation, the obviously well deserved top hygiene certificate and the care, know-how and passion which went into the cooking! This was the best paella of my life! The paella with both chicken and seafood, inspired by an original Valencian recipe, had no awkward shells or bones to deal with while keeping the authentic taste. So no problem when dressed for a special occasion. I especially liked the imaginative use of chorizo to add a rounder flavour and the slice of lemon served to be squeezed over the top. The crew was not only efficient but relaxed and charming – top professionals. 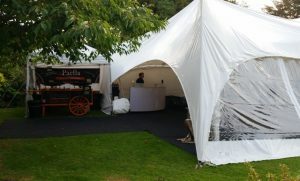 After making sure that everyone had been able to have enough, they dismantled everything discreetly in the blink of an eye and left no signs on the lawn they had ever been there – again, very professional. I was a guest and would gladly use their services again or order them for my special event. 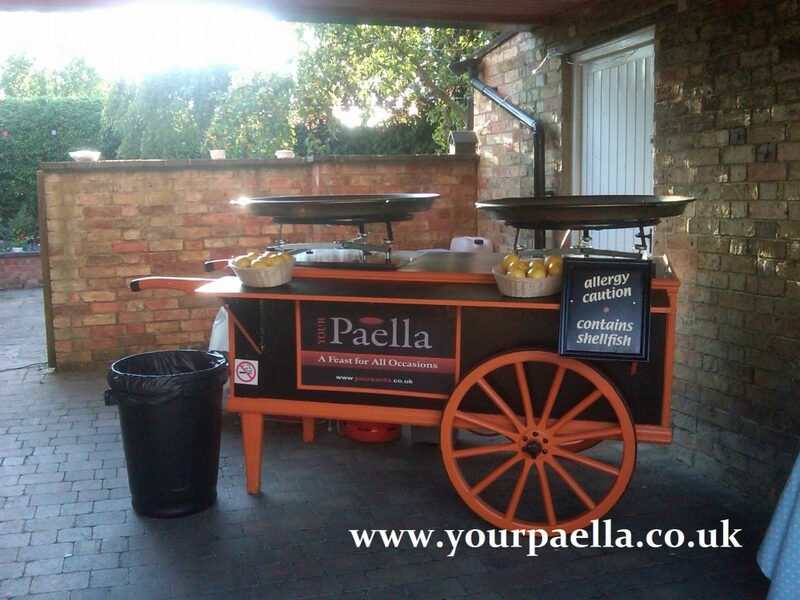 The Your paella service is ideal for any kind of special celebration, weddings, parties, corporate events. I recommend them highly. https://www.yourpaella.co.uk/wp-content/uploads/2014/07/Work-24.jpg 1536 2048 Gary Evans https://www.yourpaella.co.uk/wp-content/uploads/2019/01/logotrans1-300x106-300x106.png Gary Evans2014-03-20 13:17:422017-06-11 22:32:17Paella Customer Review. Paella party season. Paella Man!